To begin the new year, we would like to give you some insight into what VBN has been up to lately. Among other things, we have won yet another award for our ground-breaking technology, but the biggest achievement of all is the launch of the fantastic material Vibenite® 480. The global interest for our innovations has been recognised by Reuters, who recently filmed our production. Below you will find links to international broadcasting networks referring to the news. 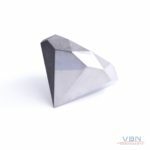 After years of research the patented hard metal Vibenite® 480 was introduced just before Christmas. The alloy is extremely heat and wear resistant and also corrosion resistant. 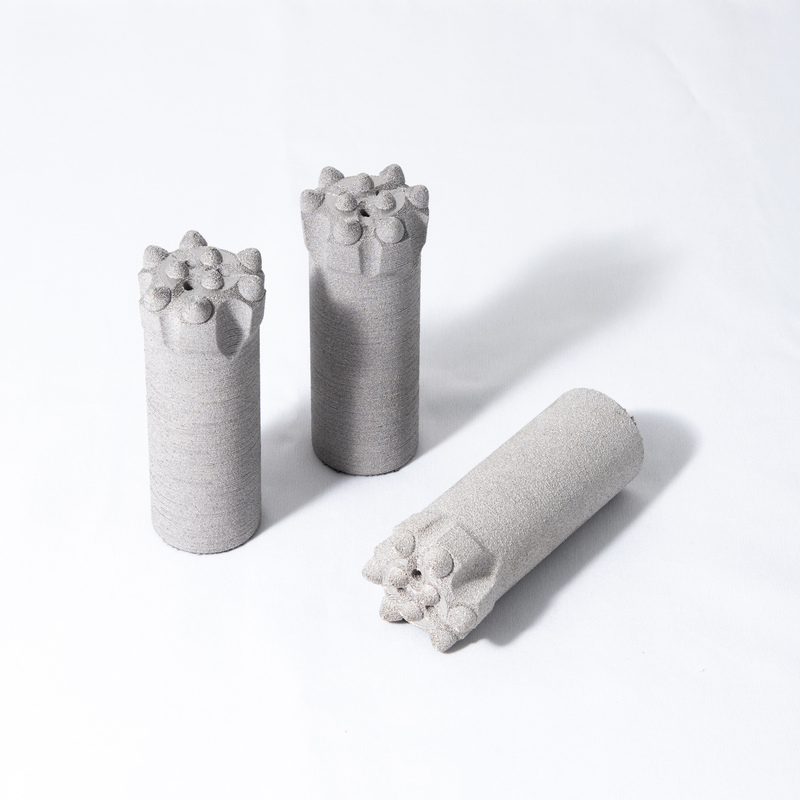 The fact that it is produced with additive manufacturing is absolutely ground-breaking. Vibenite® 480 is based on metal powder produced through large scale industrial gas atomisation. This minimises both cost and environmental impact. The new material combines the toughness of powder metallurgy high speed steels (PM-HSS) with the heat resistance of cemented carbides, which is why this new group of materials is named hybrid carbides. 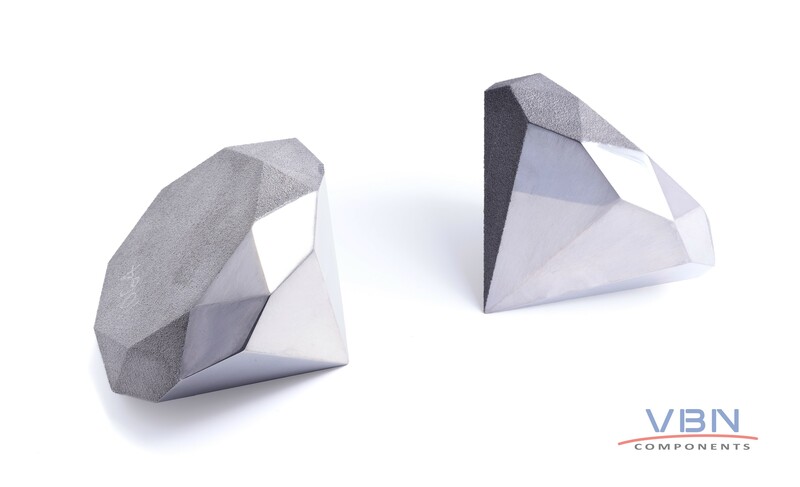 Within 3D-printing it is usually considered “impossible” to produce alloys with high carbide content. VBN Components now proves, more than ever, that this technique is mastered. Vibenite® 480 has a carbide content of ~65%, making it tougher than regular hard metals and therefore suitable for more complex details. 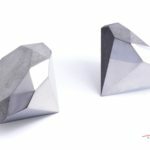 It is niched both towards applications where steel is normally used, but where production efficiency could increase when changing to hard metal, as well as towards hard metal applications with complex geometry. 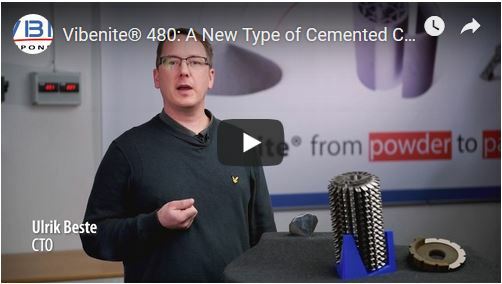 Drill bits in Vibenite® 480; collaboration with Epiroc. 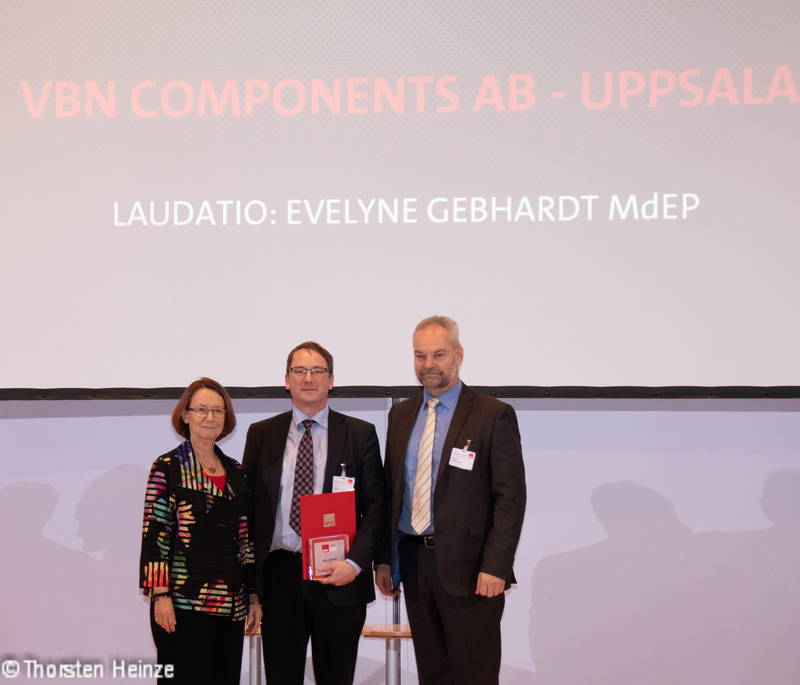 CTO Ulrik Beste received the prize in Berlin on 29 November, 2018 from Mrs. Evelyne Gebhardt, one of the vice-presidents of the European Union. 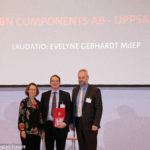 TCO Ulrik Beste accepts the AGS-award on 29 November 2018. Our CTO Ulrik Beste started off 2019 by giving a presentation at the National School for Tribology Research on the subject Energy aspects of tribology. 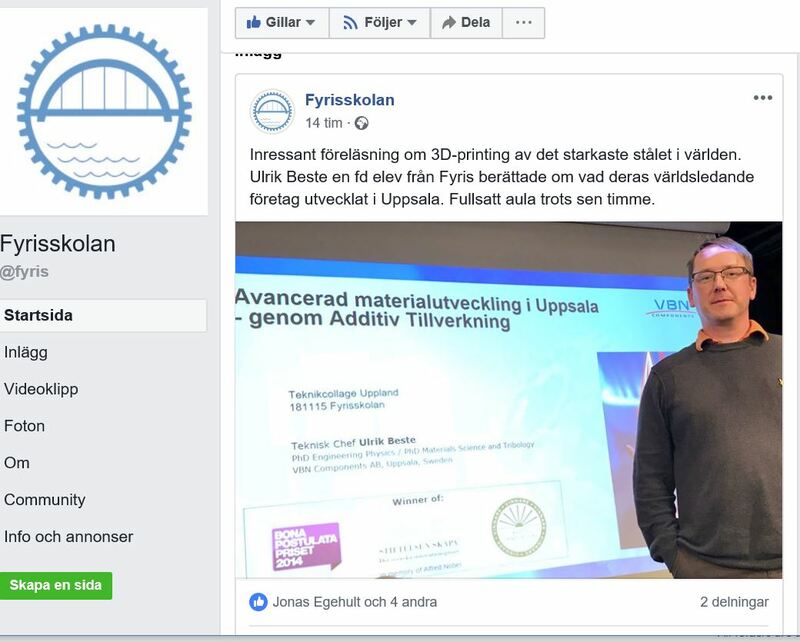 In November of 2018 he made another appearance at the local technical school Fyrisskolan to inspire teenagers to go further into materials science. CEO Martin Nilsson presented VBN and the steel plant at The Royal Institute of Technology (KTH) to a Graduate course in Steel production technology. Isabelle Bodén from Customer Relations was invited to the EIT Raw Materials conference in Luleå to talk about the special aspects of Vibenite® materials. CTO Ulrik Beste at Fyrisskolan, Uppsala. During the autumn of 2018 the company received funding from the owners through a convertible loan to assure a continuous strong development.